The High Energy Project recommends that prospective parents follow the programme devised by Foresight, the Association for Preconceptual Care. This programme has been well researched by Dr Neil Ward of the University of Surrey. 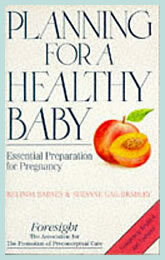 It has shown especially remarkable results for couples who have suffered past pregnancy traumas.